Scenery of field herb with little blooms. 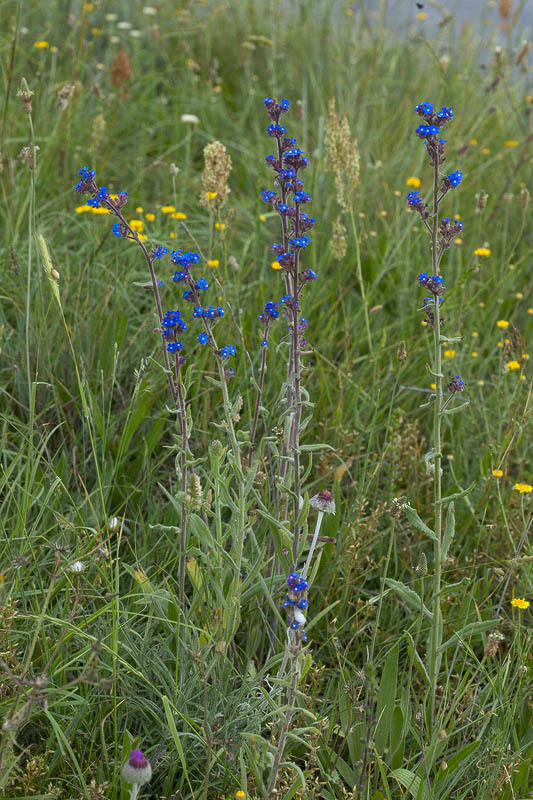 Sprigs of wild summer plants with blue blossoms. Botany, flora.